Hello Jerome, first of all, I guess there is many ways to become tennis coach, but is there some key qualifications ? I have a French tennis BE (editor’s note: Brevet d’Etat) and a STAPS (editor’s note: Science and technique of physical activities and sports) degree, but no specific certificate is required to be a tennis coach. You travel a lot, how many time are you away from home ? And does the coach has his word to say when the player make his own schedule ? Too many 🙂 Approximately 30 weeks per year. Yes! Of course, the coach has his word to say. At least, in our collaboration with Barbora we regularly talk about the schedule and take decisions together. What looks like a typical day of a tennis coach on the tour ? – Stretching, massage, ice bath… if needed. On the day before the match, in addition to the training which is lighter, just think to book a warm up before the match with a player, let the rackets to be stringed, book a car to go to the club… There is several “simple” but necessary things like this. For the player, after the match, she must, in addition to all the recovery process, be available to eventually answer to interviews or for the dope test for example. In matches’ period, there is a lot of hours waiting because we unfortunately can’t know in major part of the case at which time we will play. There is also a lot of tasks related to daily injuries of the player, so we need to anticipate and inhibit them as much as possible. What are the essential qualities of a good coach for you ? It depends a lot on the players actually. That’s why I would say it must be adaptable. In absolute terms, he must, in my opinion, have a good technique expertise. He must have experience, in other words, have spent a lot of time to watch, look, teach, travel… More the coach had had the opportunity to work with different players at different levels, more I find he is performant. The coach must be open minded and, in my opinion, try to leave out his ego. He is just here to help his player as best as he can. If he can step aside at the same time he does his work that’s the perfect thing I think. Being able to be in his player’s shoes is also very important. You have your own tennis academy in Majorca, can you tell us some words about it for people who heard about it before ? That’s not an academy. I have a court at home in Majorca with a small gymnasium and a lot of space to organize, among others, physical trainings. I always worked with 1 o 2 players. Fortunately, I have an excellent fitness coach (Pere March) who particularly works with Juan Forcades, the fitness trainer who always worked with Rafa. Pere is always a great person, humble, very competent and a hard worker. I’m very lucky to have him with me when I’m back home. How started your collaboration with Barbora ? 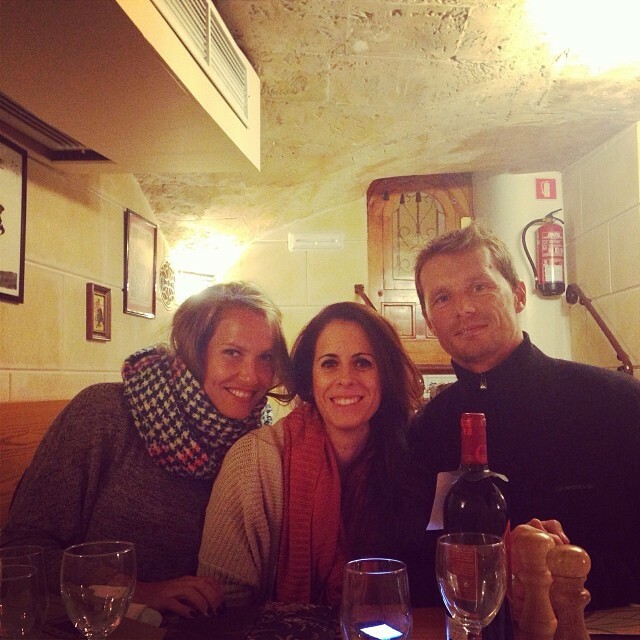 I coached her husband Jakub Herm-Zahlava 10 years ago, who was ranked around the 200. 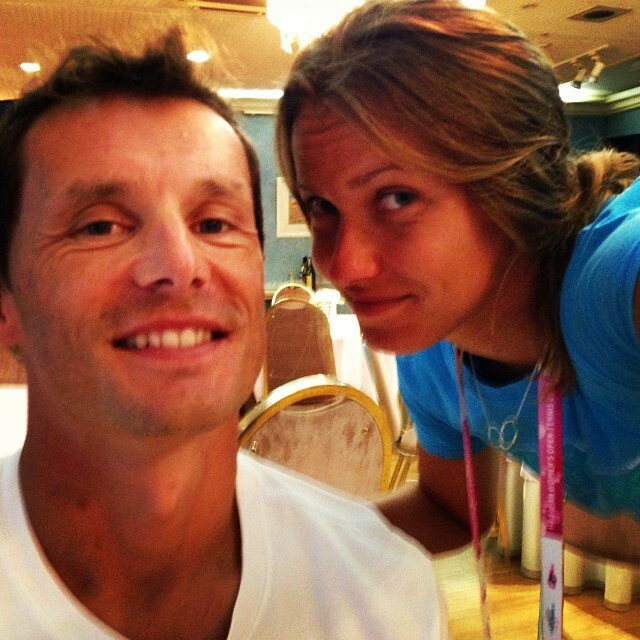 He was Barbora’s coach for many years. He called me to help her during the off season in December 2012 if I ‘m right. It went well. In February 2014, he contacted me again to be her full time coach. Ii take this opportunity to thanks him for his confidence in me. He’s a really great guy and a very good coach, passionate by his work. I’m not sure to be the right person to talk about my work. I can just say that we made several technique changes. She has a better knowledge about tennis, she understands also better what happens on the court and has a lot more solutions to win matches. She is very talented on coordination. If she decides to learn something she can acquire it in some cases in less than 5 minutes whereas I spent for the same thing 3 month with another player. She is also very professional. Several times I heard Barbora saying the win was due to the tactic you set up … Is it a particular very important point for you ? What’s your look on the WTA tour at the moment ? Don’t you feel like a lot (too much) players are playing the same game, and that the net game and variations are being lost ? I am the first one to wish my player knows every possible shot of tennis to be adaptable but everyone isn’t Federer… I also think it’s harder for women to have more variety in their game just because they have less physical force. For instance, the lake of force imply that a woman can hardly move quickly an heavy racket to give spin and make the ball heavy, at least less than a man. It tends to see women develop an aggressive pretty “stereotyped” game because they can more often than men hit the ball at the right moment and close to their baseline. Few women are able to execute a backhand slice on a high topspin ball for example. Regarding the coordination, they are, of course, but the lake of force brings a limit in the variety of shots. This being said, I think it’s an advantage to push women, form their young age, to work on slice, being able to put topspin on, take the ball early, be able to do short angle cross court shots, and come to the net… With work it’s possible to learn a lot of things. And to finish, tennis coach, would you say it’s a dream job ? Tennis coach is not at all a dream job. There is good times but also a lot of others I hate like all those hours of plane travel. I’m far away from home, my wife, my friends… There is some details I don’t have time to develop, but to summarize it’s really harder than it seems. But I don’t complain, tennis is originally one of my passions. 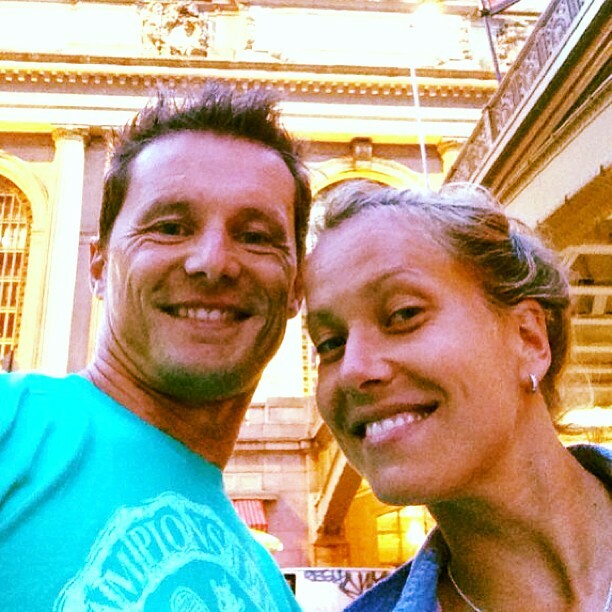 Ce contenu a été publié dans Infos et déclarations diverses par Tennisandco, et marqué avec adamec, barbora strycova, coach, coulisses, getting to know, interview, jerome adamec, off court, Q&A, questions, strycova, tennis, WTA. Mettez-le en favori avec son permalien.